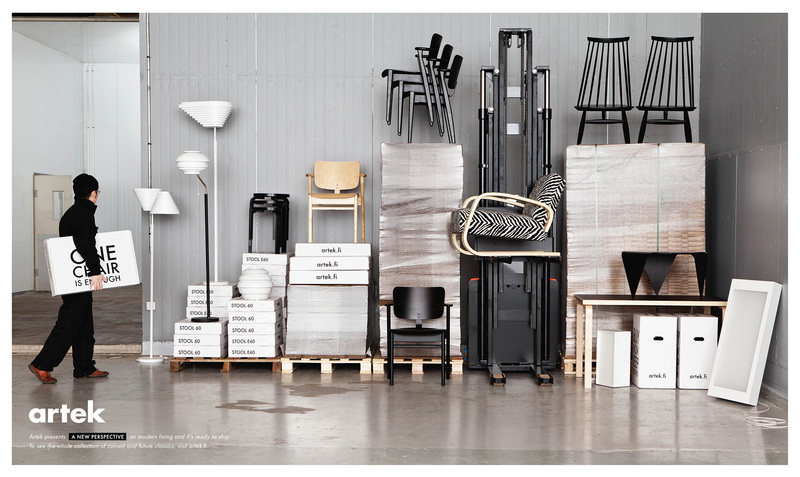 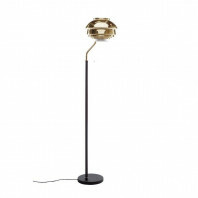 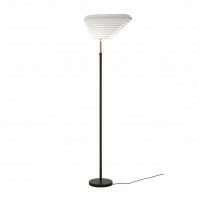 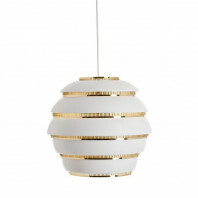 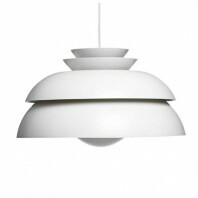 Artek U336 is the brainchild of designer JørnUtzon. 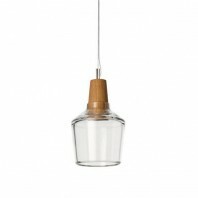 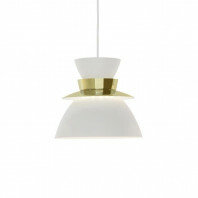 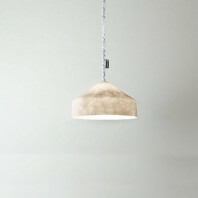 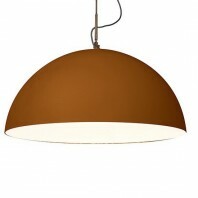 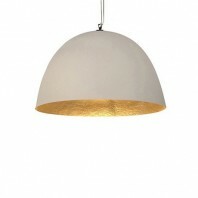 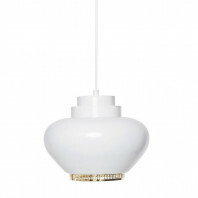 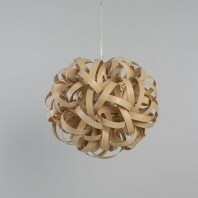 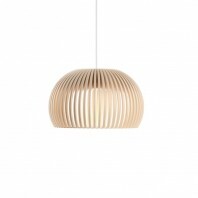 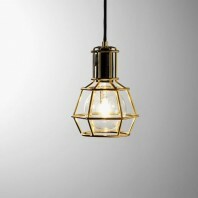 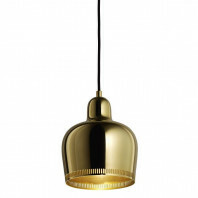 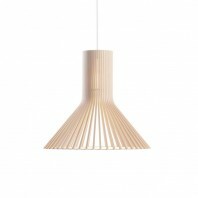 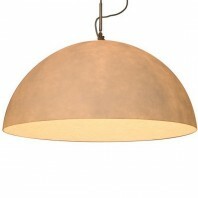 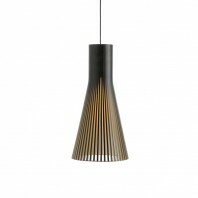 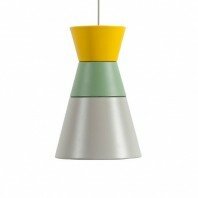 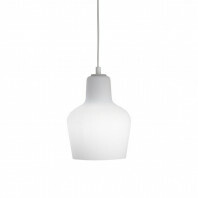 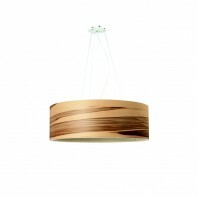 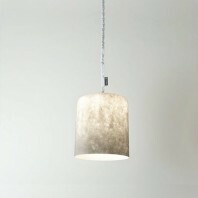 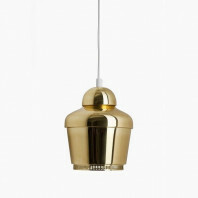 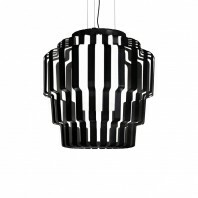 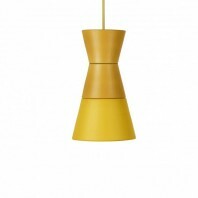 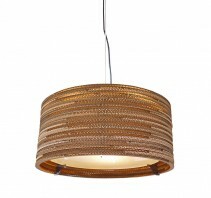 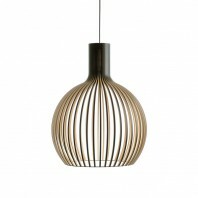 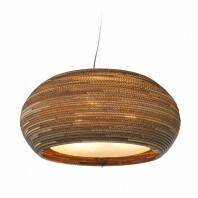 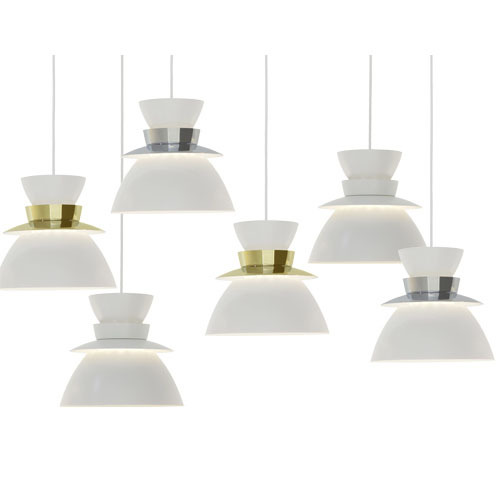 The basic pendant lighting structure gets overhauled with little design cues of cups and flanges. 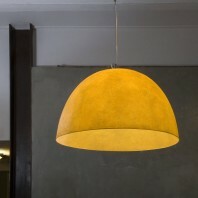 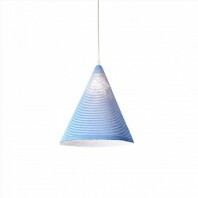 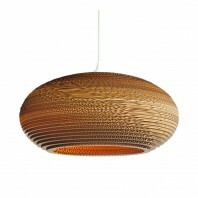 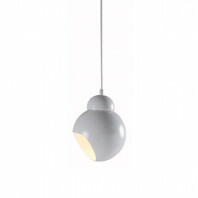 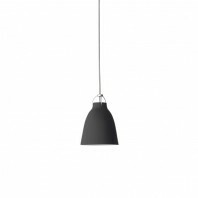 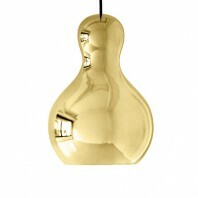 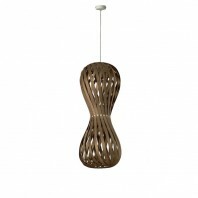 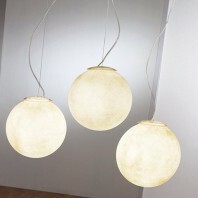 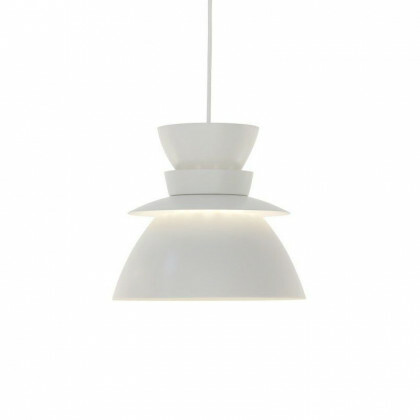 The suspended lighting fixture resembles a pair of two conical cup outlines. 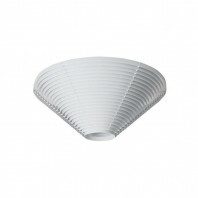 The top curved conical shade structure converges levelling down till it reaches the lip of the bottom cone which diverges outward. 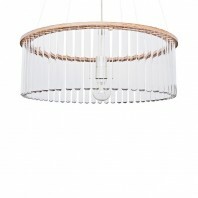 A similar outer structure encloses this inner structure. 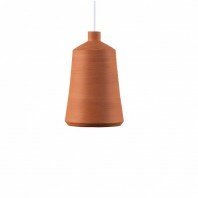 However, the external collar structure has a bit shorter but larger circumferential footprint. 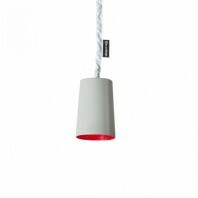 The critical lighting structure has an extended light fixture plug at the end of a white plastic cable which is 2.5m long. The inner conical shade is made of steel while the outer collar reflector comes in two options of steel – brass-plated or chrome-plated. 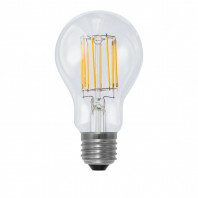 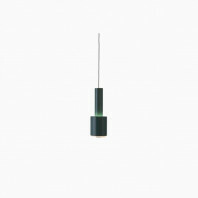 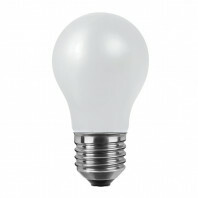 The fixture runs on a 220-240V 50Hz current supply with a maximum power rating of 60-watt. 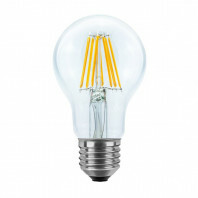 Any E27 threaded bulb of energy classes A++, A+, A, B, C, D, E is suitable for the fixture.The Artek U336 is appliance class II certified and prevents any electrical failures with its simplistic safety design which abandons the use of any safety circuit. 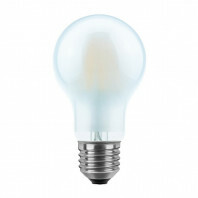 It is also IP20 rated thus assuring protection against solid object intrusion.